Super Mario Maker Was Considered in 1994? An official Mario level editor has only been made available since 2015, but could Nintendo have been planning a similar title many years prior? It seems so, since an interesting Nintendo patent has been dug up showing what appears to be a Mario level editor in 1994. 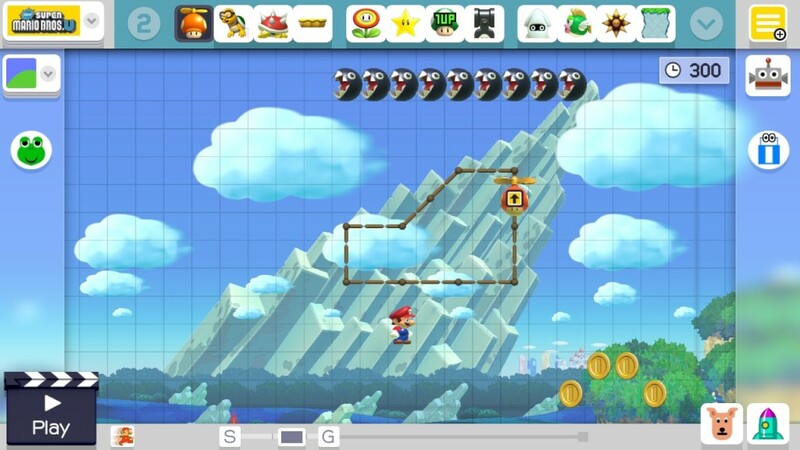 Codenamed ‘Mario Factory’, it seems like the game was planned as a level/game editor that lets players share their creations over the internet or another similar type of network. The system permits a user to modify any of the game’s moving objects, background screens, music or sound effects. 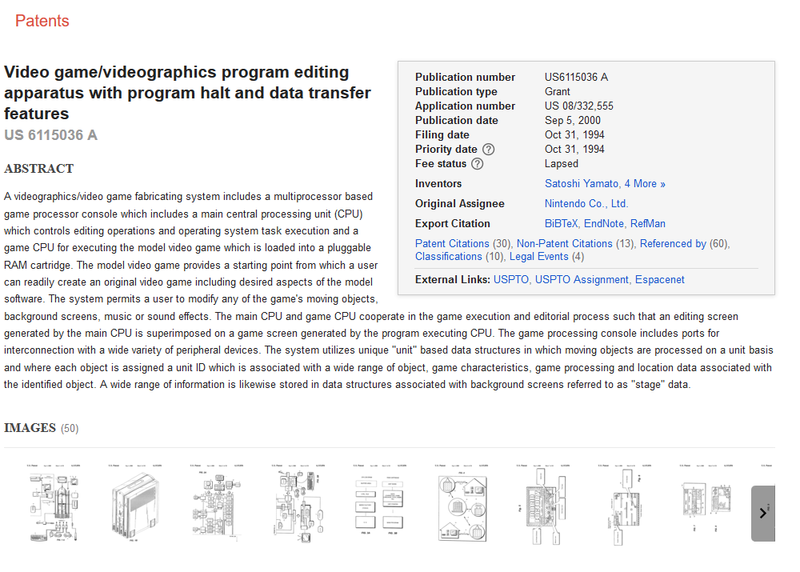 The main CPU and game CPU cooperate in the game execution and editorial process such that an editing screen generated by the main CPU is superimposed on a game screen generated by the program executing CPU. The game processing console includes ports for interconnection with a wide variety of peripheral devices. The system utilizes unique “unit” based data structures in which moving objects are processed on a unit basis and where each object is assigned a unit ID which is associated with a wide range of object, game characteristics, game processing and location data associated with the identified object. A wide range of information is likewise stored in data structures associated with background screens referred to as “stage” data. So it apparently let the player edit the enemies and objects, levels, music and sound effects. Sounds a lot like a more advanced version of Mario Maker if you ask me, maybe with the game including something akin to Mario Paint’s music composer functionality. Above: Maybe this sort of thing could have been a thing in fan made Mario games/levels too! Such users may conveniently create a unique video game through an icon driven, interactive computing system that permits a video game to be executed, stopped, edited and resumed from the point where the editing began with the editorial changes persisting throughout the remainder of game play. You can edit levels and then immediately start playing through a GUI. That sounds a lot like Mario Maker’s interface, where you build parts of a level, click Play to test it out and then go back to the editing mode to make tweaks afterwards. As shown in FIG. 4, game information may be transmitted via modem 22 shown in FIG. 1A over telephone lines 43 from a user’s house 48 through an access point 42 to a game processor center 40 via a digital link 47. Similarly, game information may be transmitted from the house 50 of a friend via a telephone line 43 to an access point 44 and then to game processor center 40 via digital link 47. Game information may also be transmitted from the game manufacturer (such as, for example, Nintendo) 46. 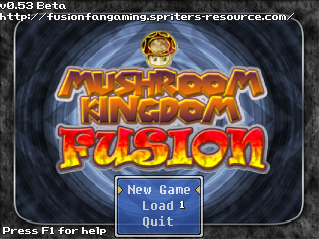 In other words, it let you distribute your levels online, and download extra stages and demos from Nintendo as well. Known as Mario Artist: Game Maker, the title was presumably a level editing/game making tool that let players build their own Mario games and share them with friends. It was also planned to go alongside others with the weird names of Sound Maker, Graphical Message Maker and… Video Jockey Maker. No, we’re not making that last one up. Maybe it had something to do with virtual horse racing or something. Either way, this old school patent and those cancelled games implies that Super Mario Maker may have been planned back in the days of the Nintendo 64, and that we could have seen an even better version complete with custom graphics and music in fan made games and levels. But what do you think? Is this patent an interesting look at a Mario Maker that never came to be?